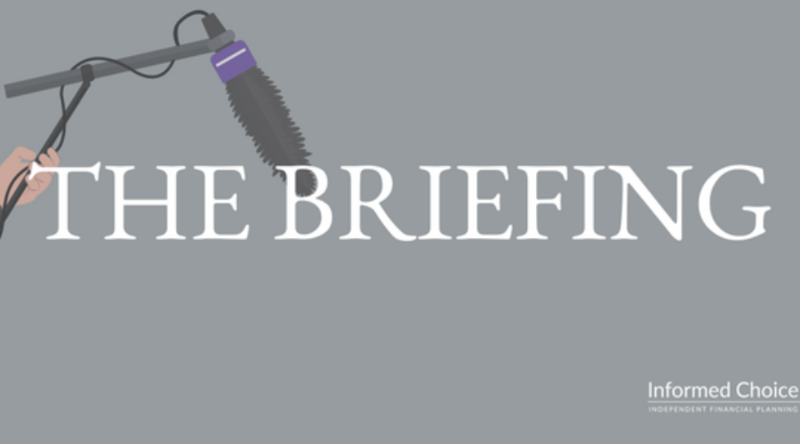 In this edition of The Briefing from Informed Choice on Monday 12th February 2018 – consumer car finance figures stable, Barclays Bank charged by SFO, February half term costs, consumer spending falls to a five-year low, and services sector forecast to boost UK economy. New figures from the Finance & Leasing Association (FLA) show that new business volumes in the point of sale consumer car finance market in 2017 were at a similar level to 2016. The value of new business was up by 6% over the same period. New business in December 2017 fell 2% by value and 5% by volume compared with the same month in 2016. The POS consumer new car finance market reported new business down 9% by value and 15% by volume in December compared with the same month in 2016. In 2017 as a whole, new business increased 2% by value and fell 7% by volume. The percentage of private new car sales financed by FLA members through the POS was 88.1% in 2017, compared with 88.2% in 2016. New business volumes in the POS consumer car finance market reached 2.3 million in 2017 – a similar level to 2016. The market expects broadly stable new business volumes in 2018. Trends in the new car finance market in the first half of 2018 are likely to be affected by the pattern of demand over the same period last year, when car purchases were brought forward into the first quarter prior to vehicle excise duty changes introduced in April. Barclays Bank PLC has been charged by the Serious Fraud Office with the offence of “unlawful financial assistance”. The charge relates to billions of pounds raised from Qatari investors a decade ago. Barclays PLC faced the same charges last June. Barclays Bank holds the banking licence allowing it to operate in different countries. 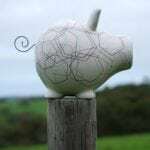 If found guilty, it could lose this important banking licence. Barclays took a £12bn loan from Qatar Holdings in 2008, in order to avoid a bailout from the UK government. As part of the deal, it loaned £2.3bn back to Qatar Holdings, which has given rise to the charge of unlawful financial assistance. The SFO said in a statement the loan was “for the purpose of directly or indirectly acquiring shares in Barclays Plc”. Barclays PLC and Barclays Bank PLC intend to defend the respective charges brought against them. Barclays does not expect there to be an impact on its ability to serve its customers and clients as a consequence of the charge having been brought. New research from M&S Bank has shown that families looking to hit the slopes this February will pay on average £130 more than this time last year. Families looking for some winter sun will find prices have increased by £111 on last year, 15% less than a ski break. Those hitting the slopes will pay on average £1,000 more in total than families looking for some winter sun. The most affordable half-term holiday can be found in the Algarve in Portugal at £3,632 per family, or £908 per person. Malaga in Spain is the next most affordable destination at £3,784 in total. The Italian island of Sardinia is the third most affordable destination at £4,404 for a family of four. Families looking to hit the slopes this half-term can make the biggest saving by booking a ski trip to Bansko in Bulgaria, which costs £4,588 for a family or £1,147 per person. Bansko also offers lower food costs, with a meal out costing £9 per person compared to £21 in Meribel, which has the highest costs for eating out compared to the other ski resorts researched. While holidays are up £120 on average this half term, there is a significant difference between the cheapest and most expensive destinations. So, whether families are looking to hit the slopes or the sun loungers this half-term, we would encourage them to look at some alternative destinations and not just the more popular resorts to make their holiday budget stretch further. Retail footfall and consumer spending fell to its lowest levels in five years in January. New figures from the BRC-Springboard Footfall and Vacancies Monitor January 2018 and consumer spending figures from Visa painted a bleak picture for retailers. Visa reported that consumer spending fell by 1.2% in January, with a 4% fall on spending in shops. This is the eighth fall in consumer spending reported in nine months. It’s the worst set of figures since January 2013. Shop footfall in the four weeks from 31st December fell by 1.6%, easing from a 3.5% fall a month earlier. It came in below the yearly average of -0.7%. The more positive picture for vacancy rates over the last quarter is marginal. The Christmas trading period traditionally sees a boost in temporary lets, as landlords get creative with the flexible use of space to create pop-ups. If we look beyond the seasonal distortion, the pressures to rationalise and downsize store portfolios are continuing to build as structural and technological change gains momentum. The services sector is expected to boost the UK economy, according to an index tracking major business surveys. Surveys by the Bank of England, Confederation of British Industry and other organisations forecast annualised GDP growth of around 2% based on the first quarter. This is according to new analysis of the surveys by accountancy firm BDO. BDO’s output index stood at 99.63 in January, up from 98.45 in December. A reading of 100 represents long-term average economic growth. Economists are forecasting UK economic growth slowing to 1.4% this year, down from the 1.8% experienced in 2017. More recently published surveys suggest more optimism, with the dominant services sector driving growth. 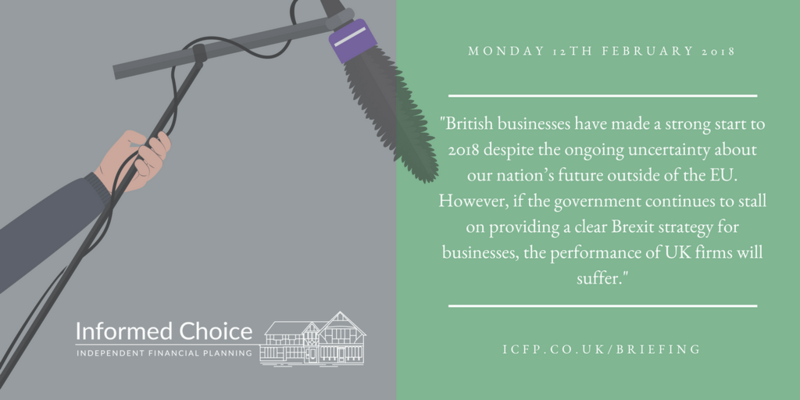 British businesses have made a strong start to 2018 despite the ongoing uncertainty about our nation’s future outside of the EU. However, if the government continues to stall on providing a clear Brexit strategy for businesses, the performance of UK firms will suffer. We need the government to align quickly and communicate its Brexit plan. It is crucial so that UK businesses can make informed investments to best prepare for the future. 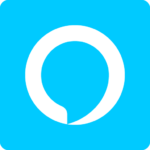 Informed Choice Radio provides a regular personal finance and investment news summary, with an updated Flash Briefing for your Alexa enabled device. 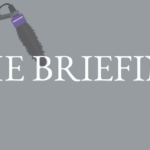 Search for Informed Choice Radio in your Amazon Alexa app or visit https://www.amazon.co.uk/Informed-Choice-Radio/dp/B074DZZ1MF/ to enable this Flash Briefing. We help people just like you find answers to the big financial questions, making sure you can live a meaningful life as a result. 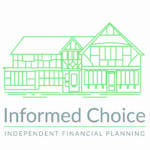 Informed Choice is an award-winning firm of Chartered Financial Planners with offices in Cranleigh, Surrey and Petersfield, Hampshire. 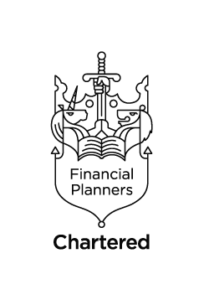 Our team of Independent Financial Planners use their knowledge and experience to deliver impartial and unbiased independent financial advice which will remove stress, bring your goals closer and deliver real financial security. When is the right time to take your tax free cash sum?